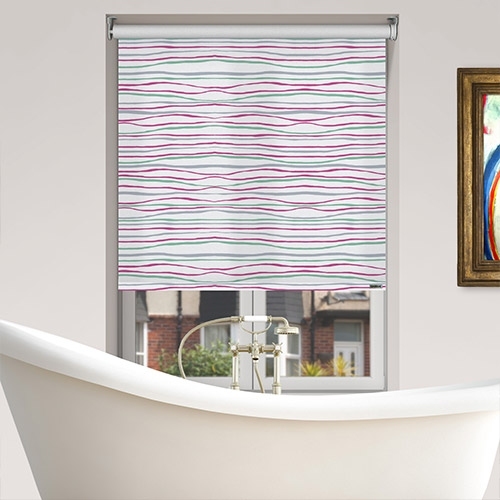 Controliss Linio Stripe Ophelia battery powered roller blind is a contemporary pattern based on waves of magenta, green and neutral grey. 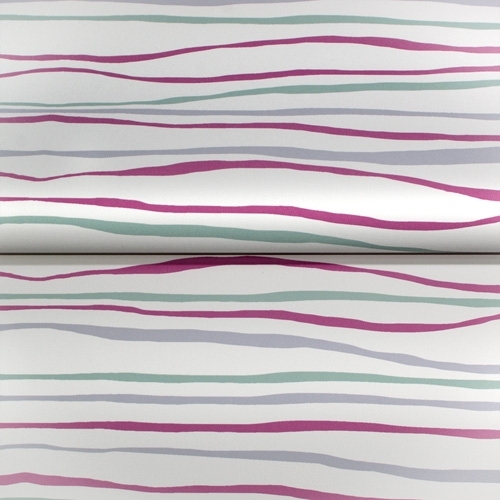 Bright and fresh for a crisp and distinctive palette, this pattern is cool and timeless. The retro design and muted green and crimson colours will provide a strong backdrop for your room.